Amery (Press Release) – Effective August 1, 2011, Unisource Assembly, has officially moved into its new facility located at 711 Minneapolis Ave. South, Amery WI. The new 15,000 sq. ft. facility will provide the company enough production space in the near term as well as allow for an additional 10,000 sq. feet of expansion space longer term. Located one mile east of the original facility, the Amery, WI business has seen its employee base nearly triple since it was acquired by FMH in September of 2009. The new facility allows for three distinct operating cells, utilizing streamline cell buildups, each focusing on the unique needs of the specific service offering. 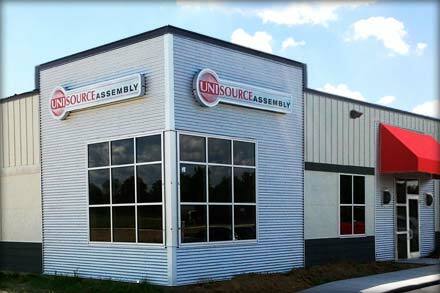 Unisource Assembly is an Electronics Manufacturing Services provider of printed circuit board assemblies, cable and wire harnesses and complete upper level turnkey builds. It serves many different industries including: Medical, transportation, defense, semiconductor and fluid management.